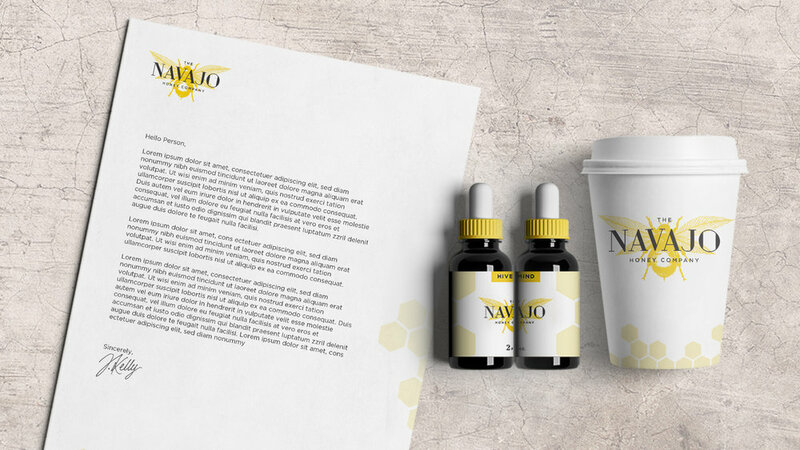 Navajo Honey Company is a startup that produces honey infused with Cannabidiol (CBD) oil. The honey is sold as a dietary supplement to provide users with the natural health benefits of marijuana without any of the psychoactive effects. The client wanted a higher end aesthetic to avoid the stigma associated with marijuana. Here is the logo I created as well as stationery and packaging.